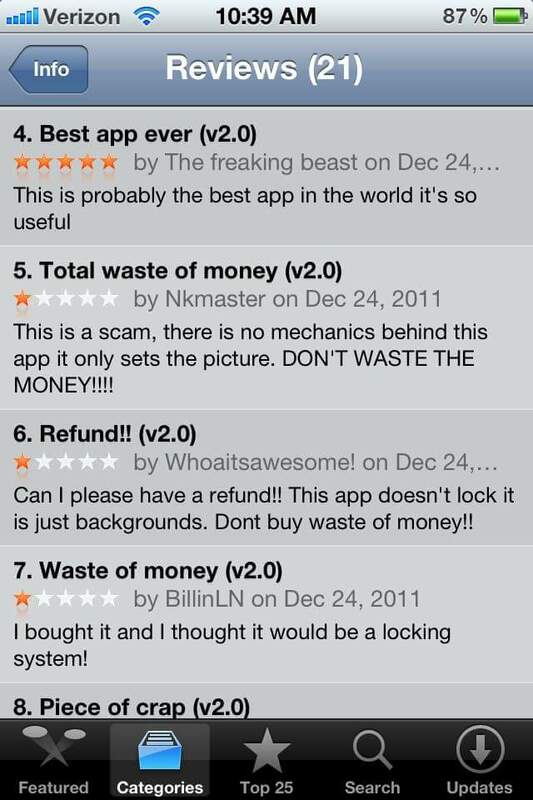 Ever wonder about those glowing app reviews? It’s no surprise that the business of getting people to download your app is a difficult one. With so many rivals clamoring to get their similarly themed application ahead of the competition, or nefarious sods who want to bombard you with adverts or straight up steal information, it seems almost absurd that the 100’s or 1000’s of glowing reviews in the Appstore or Google Play could have come from just one person. Or could it? A recent post on Reddit shows that the simplest tactic might be the easiest solution and what you had thought and probably dismissed might actually be way things really are. Rather than resorting to clever coding and an intelligent work around for Apple or Google’s personal identification system companies are simply setting up dozens of tablets with fake user profiles and writing the reviews themselves. Of course we all knew this was happening, however it’s not until you see it, and take in the impressive set up that you realise that this is a simple problem that we are having to deal with. No level of security or vetting with stop Guest10257 from telling you that “Facebook Messenger Lite +” and “Hotspot Sniffer Dog” are the greatest apps they have ever downloaded. Your security will be fine and you won’t find too many ads intruding on the screen. 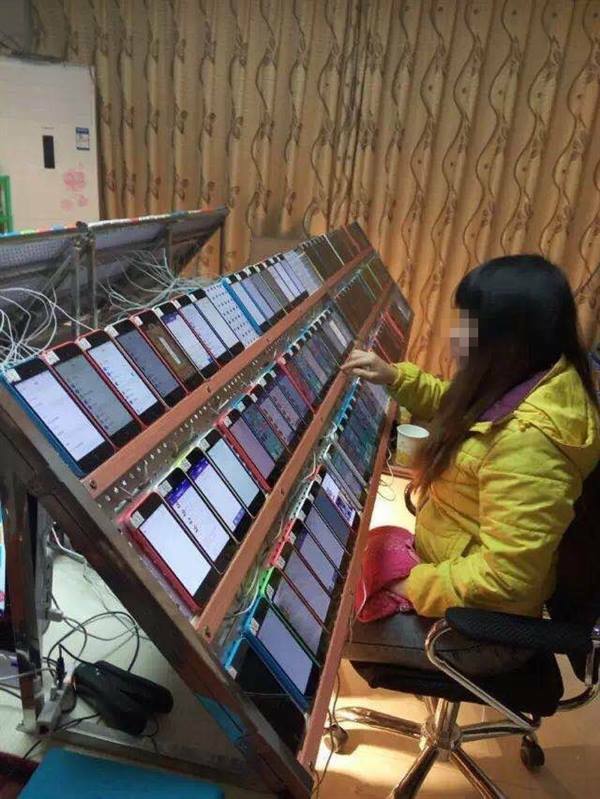 Now if only someone would write an app that allows the little lady above to post to all those accounts from just one tablet… that would be a step forward. ConnectMyApps is a software integration platform for small businesses that lets you synchronize data between your Accounting, Invoicing, CRM, E-mail, E-Commerce and other apps.